A simply divine offering from Rival Gaming, guaranteed to bring sparkle, joy and big cash prizes to your new year. There are free spins and multipliers everywhere you look in this magical forest of treats and a whole range of fairytale characters to keep you entertained while you spin those reels. 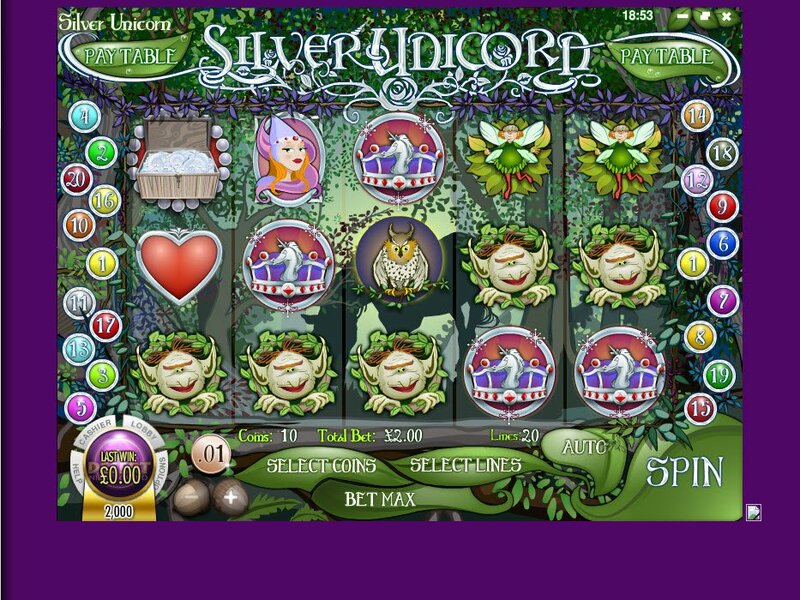 Enter the world of the Silver Unicorn slot by Rival Gaming. The introduction leads you through a forest filled with beautiful butterflies and other delightful creatures, until the Silver Unicorn appears, with a resplendent rainbow lighting his silvery hues. The music is delicate and builds momentum until you spin the first of this 5-reel, 20-payline Silver Unicorn slot machine. Prince Argent and Princess Plata will be your guides on this magical adventure deep in to the heart of the forest, where you will find the gold at the end of the rainbow. This game is full of rewards and fun, on my very first spin I already saw the delights of a rainbow, complete with free games at a 3 x multiplier. Woodland sounds will only add to the wonderful atmosphere created as the beat increases with every spin of the reels, to a rising crescendo of violin strings. The graphics by Rival Gaming are worthy of starring in this legend, with intricately designed symbols to light the path your reels spin as they put you on your road to riches. Full of classic fairytale creatures and myths come to life, there are trolls, fairies, castles, crowns and rainbow butterflies to accompany the elusive silver unicorn. With a backdrop of a mysterious, lush and green forest, the symbols are all very much at home in this new exciting Rival Gaming slot machine. 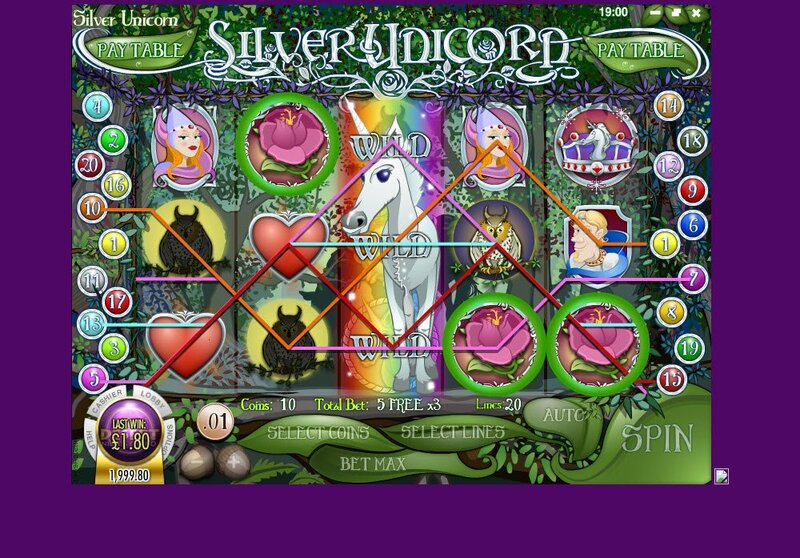 The beautiful silver unicorn is the expanding wild, with a background of rainbow colourfulness and 5 free Silver Unicorn slot free spins with a 3 x multiplier. 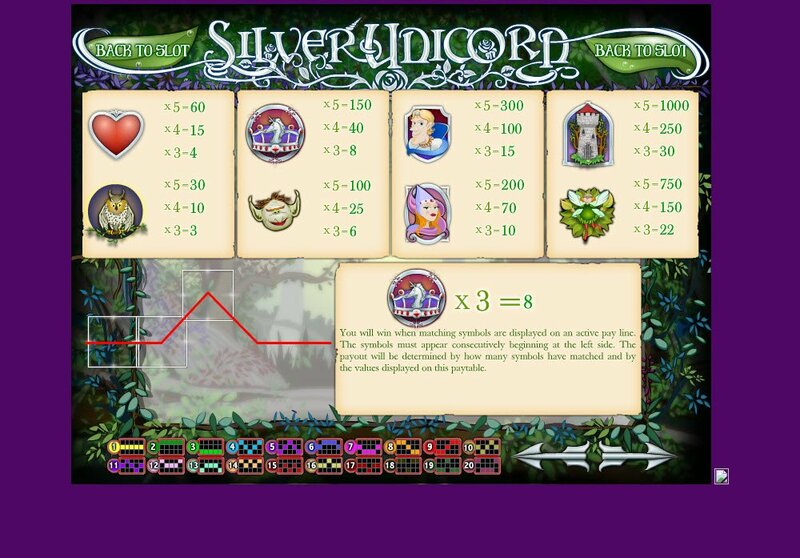 The Silver Unicorn slot bonus round will be brought to you by a flock of three fluttering rainbow coloured butterflies and your memory will be tested in a forest challenge with some of our fairytale icons that promise to pay out with big rewards. The Silver Unicorn slot jackpot is worth a whopping 15,000 coins and is represented by a treasure chest. The delicate rose scatter symbol will help you on your quest with a range of free spins. Candy Cottage Slot Review – Is It Sweet Enough?